This study aimed at investigating the applicability of teaching lexical bundles to the writing performance of medical students in an EFL context. Four components of the writing proficiency, namely Task Response (TR), Lexical Resource (LR), Grammatical Range and Accuracy (GRA) and Cohesion & Coherence (CC), were investigated with regard to the effect of teaching lexical bundles. Thirty medical students in the preclinical stage at Shiraz University of Medical Sciences participated and the study was performed through a two-phase procedure. In the first phase, paragraph and essay writing principles were taught after a pretest. The posttest was administered following the treatment. Data were analyzed through T test. The results of the first phase indicated that all components except GRA changed significantly. In the second phase, the students were introduced and exposed to four-word lexical bundles extracted from the medical corpus. Having access to the corpus analysis software, the students could explore the corpus and learn the lexical bundles contextually. They were also given the list of lexical bundles for explicit exposure and were guided to use them appropriately in their writing assignments. The essays assigned following the lexical bundle teaching were regarded as the posttest of the second phase while the posttest of the first phase was regarded as the pretest of the second phase. Data analysis revealed that LR changed significantly and the students were able to benefit from lexical bundles to improve their LR that enabled them to write more naturally and use collocations more appropriately. Students, writing instructors, syllabus designers, and material developers can best benefit from the findings of the present study. Inherent within human beings is the desire to communicate, learn, and improve. To fulfill the passion, they have resorted to many means and have tried different systems. In line with such attempts, they have also experienced an incentive to write and have either found or invented materials to write on and have developed systems of writing which have gone through evolutions throughout millennia. Writing in the modern era, however, is more than writing on clay tablets to keep track of possessions or a letter-in-a-bottle to survive. Regarding writing in the 21st century, Yancey (2009) believes that texts are written in different forms of print and online as never before resulting from the fact that it is the main basis upon which our work, our learning, and our intellect will undergo judgment. Moreover, with the emergence of internationalism, a growing trend to publish in different genres in each discipline has emerged. It has been due to this emergence that the scholars seem to have entered a race against time to publish in English for power and promotion opportunities and gain international recognition; otherwise they must expect failure and rejection (Rond & Miller, 2005). Moreover, postgraduate students concerned about publishing their findings consider academic writing an essential task without which their academic voice will be compromised. Thus, this pressure to publish is an undeniable fact of the current days, necessitating the individuals to improve their English academic writing skill. Students and graduates have become more cognizant of the importance of writing well, aiming to apply for employment, further their education, or participate in academia. The growing appeal to improve English has led the scholars to conduct a myriad number of investigations on different aspects of English for Academic Purposes. For one school of thought, particular attention has been paid to the commonalities that different fields may have with the hope of developing materials and syllabi to meet the needs of that particular group of learners studying that particular discipline (Bruce, 2005). In addition, a large body of research has been carried out to find the distinguishing features of academic writing. To mention only a few, expressions of stance was investigated by Charles (2003), Hunston, (1995) worked on verb classes and Ferguson (2001) studied the organization of discourse. Other than stance, register and discourse organization, analysis of academic vocabulary, as another feature of academic discourse, has recently gained special status and has been the focus of several studies (Nation, 1990, 2001; Schmitt & McCarthy, 1997). As to the importance of the vocabulary knowledge for the writers, Hayes and Ahrens (1988) refer to the written language as a skill containing richer vocabulary than oral language. In their view, vocabulary knowledge is equally important to the writer as it is to the reader. A number of studies have also been conducted on the role of vocabulary in writing (Duin & Graves, 1987). Flower and Hayes (1981), in his cognitive process theory of writing model, mentions the significance of word selection during all three phases of the writing processes: planning, translating and reviewing. It was suggested that, during the writing process, individuals with large oral vocabularies are cognitively better equipped than individuals with poor oral vocabularies. Regarding the quality of language produced by the writer, Duin and Graves (1987) state that mature vocabulary adds much more to the quality of writing than less mature vocabulary. Word count has also been viewed to play a role in writing. Stotsky (1986) found a direct relationship between the number of words used and the students' grade in their writing assignments. In recent years, notable steps have been taken to incorporate new perspectives to the application of corpora for teaching and learning purposes and language specialists including language teachers are becoming more and more cognizant about the merits of corpus-based approaches (Lee & Swales, 2006). Among the corpus study perspectives, special attention has recently been paid to the area of groups of words that frequently occur together. Corpus linguistics has demonstrated that language in use is characterized by repetition of fixed or semi-fixed multiword combinations and formulaic patterns or lexical bundles (Byrd & Coxhead, 2010). As to the importance of lexical bundles, Biber and Barbieri (2007) stated that they constitute 20% of the words in the academic prose. Consistent with Biber and Barbieri's view, Thonney (2011) indicated that using lexical bundles was an indicator of proficiency in academic writing. Moreover, Wood (2010) points out that lexical bundles are holistically stored in the long term memory and are treated like single lexical units. Tremblay, Derwing, Libben, and West-bury (2011) noted that sentences containing lexical bundles are processed faster and are more likely to be remembered and recalled correctly than sentences containing novel phrases. In two studies conducted by Hyland (2008a, 2008b) based on the findings of two corpora of research articles, doctoral dissertations and master's theses, it was elaborated that postgraduate students tend to employ more formulaic expressions than native academics. Employing a frequency-driven approach, Dontcheva-Narvatilova (2012) was concerned with the use of lexical bundles in nonnative speakers' academic discourse. Carrying out on a corpus of diploma theses written by Czech students of English, the aforesaid research aimed at finding the extent to which the authors of diploma theses used different functional types of lexical bundles typical of expert academic discourse. It was found that novice writers in a nonnative language used a limited repertoire of lexical bundles. Shahriari, Ghonsooli and Fatemi (2013) conducted a study on research article abstracts of applied linguistics to analyze the four-word lexical bundles. The results of their study indicated that different structural and functional categories of lexical bundles are used in various parts of the research articles. Research has also been conducted on lexical bundles in some other disciplines and genres. For instance, lexical bundles were investigated across four legal genres by Breeze (2013); she investigated the lexical bundles in four legal corpora of academic law, case law, legislation, and documents. The results indicated that academic legal writing uses relatively little formulaic language. Case law uses noun phrase bundles related to agents, documents and actions, as well as many extended prepositional phrases. Legislation and documents contain many noun phrase and verb phrase bundles with a deontic or referential function. A brief retrospective look at the written medical discourse in the previous millennium reveals that huge number of medical research texts of different genres have been published over 80% of which written in English (Salager-Meyer, 2014). This highlights the need to study academic writing in such a crucial discipline and paves the way for the medical writers to be even more capable of developing quality writings in different academic genres. A quick glance at academic writing task of standard international exams like IELTS shows that at least four assessment criteria are particularly focused (Bagheri & Riasati, 2016). These four assessment criteria include the task response (TR), grammatical range and accuracy (GRA), lexical resource (LR), and cohesion and coherence (CC). Bagheri and Riasati (2016) state that "TR demands that candidates develop a position or stand regarding the given input prompt" (p. 200). GRA is indicative of the candidates' grammatical competence to produce complex structures. LR, as the third criterion in the writing assessment of IELTS (task 2), refers to the candidates' range of vocabulary and the extent they are able to show their lexical resources in a flexible and appropriate manner. Knowledge of idiomatic expressions and collocations are also assessed through this criterion. Though some candidates might have the perception that using loads of heavily sophisticated vocabulary may aid them to reach a higher achievement in writing skill, Bagheri and Riasati (2016) believe that candidates must try to use appropriate and natural vocabularies and pay attention to the flexibility and comprehensibility of their writing. To them, such a goal can be partly achieved through reading authentic texts. CC assessment criterion checks the extent to which the candidates are able to link parts of sentence(s) together to write a text that is easy to read and follow, for example by using transition words. Considering the above-mentioned lines of study, one can hardly doubt about the importance of academic writing in the modern era, on the one hand, and attempts to improve it, on the other. Moreover, lexical bundles and their contribution to improving language production, particularly academic writing, have become the focus of attention in recent decades. However, studies on the influence of teaching/using lexical bundles on writing have been rather holistic. That is, though few in number, they have investigated the applicability of using lexical bundles on production fluency as a whole. Putting together the significance of academic writing and its challenges for learners in the English as a Foreign Language (EFL) context, considering lexical bundles and their role in writing quality and given the academic writing criteria, the researchers of this study found the incentive to investigate to what extent teaching lexical bundles influences the academic essay writing of the learners in an EFL medical context and the way teaching lexical bundles may or may not influence academic writing performance with regard to the writing performance components. 1) To what extent do writing proficiency components change before and after teaching essay writing principles? 2) To what extent do writing proficiency components change before and after teaching lexical bundles? The participants of the study comprised 30 male and female preclinical medical students within the age range of 22-25 at Shiraz University of Medical Science. They had taken academic writing course to fulfill the requirements of the third semester of their preclinical stage. They had all passed eight credits of general reading courses in addition to a three-credit reading course for medical students as the prerequisite for their academic writing course. They attended the writing class for a period of 15 weeks, two sessions per week, and each lasting 90 minutes. They were all put in the experimental group due to the limitations of educational rules. - A triad of essays assigned for the students to write in the two phases of the study. - The book used for teaching paragraph development and essay writing to teach the principles of essay writing. In the second phase, which was the main target of the whole procedure, the difference between writing performance before and after the second treatment was sought. That is, it meant to see whether teaching lexical bundles could significantly change writing performance with regard to any of the four writing performance components. As mentioned earlier, the posttest essay of the first phase was regarded as the pretest of the second phase. That is, it had a dual function. With regard to the treatment in the second phase which lasted five weeks (10 sessions), the students were made familiar with the concept of lexical bundles in the first session of the second phase (the 21st session of the course). In the following two sessions, the corpus, previously made by the researcher, was brought to the class and shown to the students through the corpus analysis software. As the class was equipped with the computer and projection tool, the students were taught how to search the corpus and were given the opportunity to take turns exploring the corpus and getting exposed to the original texts in which lexical bundles were used. That is, lexical bundles were implicitly taught with regard to form and discourse function. In the following two sessions, the list of 60 randomly selected lexical bundles was printed and handed to each individual student. As a part of their class assignment, they were asked to work in small groups to discuss how they could use any of the lexical bundles in their writings. They were also given the opportunity to have peer check while being monitored and helped by the instructor. The last two sessions were allocated to practicing how to use related lexical bundles. In the 30th session of the course, the students were asked to write the third essay on a semispecialized medical topic and they were allowed to use any of the 60 lexical bundles or any other one they had searched in the corpus. Once the writings were completely done by the thirty students, the triad essays (90 essays of the 1st, 2nd, & 3rd essay packs) were given to a certified IELTS examiner, blind to the participants, to be scored. The scoring process took about one month during which each individual essay was double rated by the mentioned IELTS examiner. The mean score of each individual was considered for analysis. The essays were scored out of 20 which was the sum of TR, LR, GRA, and CC, each bearing 5 score. Finally, data analysis was performed through SPSS 23. Given the pretest, treatment, posttest design of the two phases of the study into account, paired sample t-test is the best fit for data analysis. However, as t-test is a parametric test, the researcher needed to make sure the data from the participants were normally distributed. Therefore, One-Sample Kolmogorov-Smirnov Test was performed and indicated the normal distribution of data. To better visualize the normal distribution of the essays, descriptive Q-Q Plot test of distribution was performed. As Figure 1 illustrates, the scores of all three essays were normally distributed. The results of the first phase of the study are shown in Table 1. As the t-test results revealed, TR, LR, CC, and the total essay scores had significantly changed following the treatment of the first phase. Regarding the second phase of the study, the results shown in Table 2 indicate that LR had significantly changed after the treatment of teaching lexical bundles. That is, the treatment had been effective in improving the writing performance with regard to LR. This study was an attempt to investigate whether teaching lexical bundles influences the writing proficiency of medical students in an EFL context. To fulfill the goal, the study was performed through a two-phase procedure. As mentioned earlier, the effect of teaching essay writing principles on writing performance was examined in the first phase. More specifically, the researcher sought to what extent the learners' writing performance would improve following the treatment of the first phase. In the first phase of the study, there was an attempt to answer the first research question. With regard to the findings shown in Table 1, it is evident that teaching paragraph and essay writing principles brought about significant improvements in the participants' essay writing as a whole and their writing performance components of TR, LR, and CC, in particular. That is, the students reached an acceptable level of essay writing and could successfully implement their acquired knowledge in their posttest essay. As TR, LR, and CC are three key components of writing proficiency, the results can be indicative of the fact that the instruction of the first phase had been adequate to meet the needs of the students to improve their writing quality and make them adept at writing with regard to TR, LR, and CC. More specifically, following the instruction, they could write in response to the given prompts of the topic (i.e. improvement in TR), using a proper range of vocabulary and collocation (i.e. improvement in LR) employing cohesive devices to connect sentences to give unity to the text (i.e., improvement in CC) which facilitates the comprehension of the produced text for the reader. GRA, however, was the only component that did not reveal a significant change, which might have been due to the short period of the intervention. It means that 20 sessions might not have been sufficient to improve the aforementioned criteria from the base levels. This is consistent with the findings of Eidian, Gorjian and Aghvami (2013) who studied the effect of lexical collocation instruction on writing skill of Iranian EFL learners. In their study, it was found that the instruction did not influence the grammatical accuracy of the students significantly; this can be attributed to the short duration of the intervention. The researchers believed the learners might have required more time to master the grammatical accuracy through the instruction of lexical collocation. As a similar result has been found in other studies, more extensive research can shed light on this crucial aspect. The second research question was whether teaching lexical bundles would improve the writing performance with regard to the performance criteria of TR, LR, GRA, and CC. As Table 2 indicates, LR significantly improved following the corpus-based intervention of teaching lexical bundles. As mentioned earlier, LR refers to the candidates' range of vocabulary and the extent the candidates are able to show their lexical resources in a flexible and appropriate manner. Knowledge of idiomatic expressions and collocations was also assessed through this criterion. It is very probable that the participants’ level of awareness about lexical bundles, word knowledge and collocations was raised and they were able to use them more appropriately. Similar to the first phase, GRA did not change significantly. TR and CC which improved significantly through the instruction of essay writing principles did not change significantly in the second phase in which lexical bundles were taught. It indicates that the instruction of lexical bundles is not as effective as teaching writing principles in improving TR and CC. In other words, writing principles related to developing topic sentence and major and minor supporting sentences were influential in making the learners adept at employing them and resultantly improve their TR component of writing proficiency. With the same token, CC was not significantly influenced by teaching lexical bundles. However, CC has to do with cohesive devices and sentence connectors, and some lexical bundles, such as on the other hand, have the structure of sentence connectors. Probably more thorough selection of lexical bundles for teaching can yield better results; therefore, further studies on this aspect can shed light on this aspect. Putting the result of both phases together, we concluded that among the four components of writing proficiency, LR was mostly influenced through the instruction of lexical bundles while the TR and CC improved through the conventional instruction of essay writing principles. That is, teaching lexical bundles can be regarded as complementary to the teaching of essay writing principles. To equip the learners with a wider and more major discipline-specific range of vocabularies and collocations, lexical bundles instruction can replace teaching of single-item vocabularies. This study shares a number of similarities and difference with other experimental studies regarding corpus-based issues, and studies on lexical bundles. Ranjbar, Pazhakh and Gorjian (2012) investigated the effect of teaching lexical bundles on linguistic production fluency and found the positive effect of teaching lexical bundles on paragraph development. The point of differentiation of this study with theirs is that the present study explored the issue from the perspective of performance components and investigated the issue from a more rigorous point of view. Kazemi, Katiraei and Rasekhi (2014) conducted a study on a similar issue on the students of applied linguistics. In line with Ranjbar et al. (2012), their findings also indicated that lexical bundles were of a great help in improving the applied linguistics students' writing ability. Cortes (2006) allocated 20 minutes in five sessions of a history students' crash writing course to teaching lexical bundles, but he admitted that the duration was too short to bring about a statistically significant influence. Yet, it proved effective in raising the students' awareness and could boost their interest toward learning lexical bundles. When asked to express their idea about the use of lexical bundles, the participants of the present study also admitted that they were interested in knowing more about the issue and requested the writing instructor to include teaching lexical bundles in the syllabus for the following semesters as well. The other point that was frequently reported by the participants of the present study was that lexical bundles would help them to write faster, as compared to the writing assignments before the treatment. As mentioned in the literature, Stotsky (1986) found a direct relationship between the number of words and the grade the students obtained in their writing performance. Likewise, the results of the second phase of this study revealed that one way to improve the LR is to use lexical bundles. Lexical bundles are strings of words; thus, they make the writer able to increase the number of words he/she attempts to use in a more limited time. Through learning lexical bundles, the writer can avoid putting single words together which might build wired, noncollocating and unnatural phrases that may harm the writing performance and negatively influence the intended results. Moreover, according to Wood (2010), lexical bundles are holistically stored in the long term memory and are treated like single lexical units. This probably increases the writers' capability to produce more content in a shorter time. Tremblay et al. (2011) noted that sentences containing lexical bundles are processed faster and are more likely to be remembered and recalled correctly than those containing novel phrases. Therefore, incorporating teaching lexical bundles in the writing course syllabus can help the writers in remembering and recalling the word chunks and reduce the time they need to process and produce the written language. In other words, using lexical bundles can buy us time in writing and increase the naturalness and native-likeness of the produced texts. Bagheri and Riasati (2016) recommended that the IELTS writing candidates should read authentic and natural reading texts to improve their lexical resource and gain a better result. This study was a step toward this recommendation as it exposed the learners to a giant corpus containing hundreds of authentic texts in the field of medicine. This exposure to the authentic texts can familiarize the learners with the academic discourse and word combinations frequently used by different specialists. According to the second phase results, the students' lexical resource improved following the intervention containing lexical bundles. All in all, lexical bundles have been recently the focus of attention as they contribute to the formation of spoken and written academic discourse. A myriad of studies have been performed to identify lexical bundles across different disciplines and genres; however, not many of them had been conducted on the discipline of medicine. Moreover, the pedagogical merits of lexical bundles, particularly in medical contexts, have not been studied much. The present study took the pedagogical perspective into account and investigated the corpus-based teaching of lexical bundles and the extent to which writing criteria of TR, LR, GRA, and CC can be improved through such training. The results indicated that LR component underwent a significant change and contributed to the improvement of writing performance of medical students in the Iranian EFL context. Achieving higher writing proficiency, being able to produce more words in shorter time, and approaching naturalness were among the merits of learning lexical bundles for writing purposes that were pointed by the scholars of the field. Academic writing candidates in any discipline can take advantage of the results of the present study. Using corpus analysis software, learners can make their own corpus and try to contextually learn how scholars of their field have used different lexical bundles and try to use them appropriately in their own writing assignments. Moreover, writing instructors can use the findings to extract, identify and incorporate field-specific lexical bundles to their teaching syllabus and use it for pedagogical purposes. Finally, material developers and test makers can use the corpus as it contains a huge number of original texts of the specific field. Further studies are recommended to be conducted on disciplines other than medicine. The effect of teaching lexical bundles on other aspects of writing components and modified methodologies are also recommended. Bagheri, M. S., & Riasati, M. J. (2016). EFL graduate students' IELTS writing problems and students and teacher's beliefs regarding writing skill improvement. Journal of Language Teaching and Research, 7(1), 198-209. Biber, D., & Barbieri, F. (2007). Lexical bundles in university spoken and written registers. English for Specific Purposes, 26(3), 263-286. Breeze, R. (2013). Lexical bundles across four legal genres. International Journal of Corpus Linguistics, 18(2), 229-253. Bruce, I. (2005). Syllabus design for general EAP writing course: A cognitive approach. Journal of English for Academic Purposes, 4(3), 239-250. Byrd, P., & Coxhead, A. (2010). On the other hand: Lexical bundles in academic writing and in the teaching of EAP. University of Sydney Papers in TESOL, 5, 31-64. Charles, M. (2003). This mystery: A corpus-based study of the use of nouns to construct stance in theses from two contrasting disciplines”. Journal of English for Academic Purposes, 2(4), 313-326. Cortes, V. (2006). Teaching lexical bundles in the disciplines: An example from a writing intensive history class. Linguistics and Education, 17, 391-406. Dontcheva-navaratilova, O. (2012). Lexical bundles in academic texts by non-native speakers. Brno Studies in English, 38(2) 37-58. Duin, A.H., & Graves, M.F. (1987). Intensive vocabulary instruction as a prewriting technique. Reading Research Quarterly, 22, 311–330. Eidian, F., Gorjian, B., & Aghvami, F. (2013). The impact of lexical collocation instruction on developing writing skill among EFL learners. International Journal of Learning and Applied Linguistics World, 4(3), 273-283. Ferguson, G. (2001). If you pop over there: A corpus-based study of conditionals in medical discourse. English for Specific Purposes, 20, 61-82. Flower, L., & Hayes, J.R. (1981). A cognitive process theory of writing. College Composition and Communication, 32, 365–387. Hayes, D.P., & Ahrens, M. (1988). Vocabulary simplification for children: A special case of 'motherese'? Journal of Child Language, 15,395-410. Hunston, S. (1995). A corpus study of some English verbs of attribution. Functions of Language, 2, 133–158. Hyland, K. (2008a). As can be seen: Lexical bundles and disciplinary variation. English for Specific Purposes, 27, 4-21. Hyland, K. (2008b). Academic clusters: Text patterning in published and postgraduate writing. International Journal of Applied Linguistics, 18(1), 41-62. 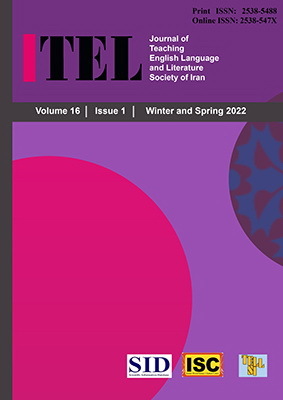 Kazemi, M., Katiraei, S., & Rasekh, A. E. (2014). The impact of teaching lexical bundles on improving Iranian EFL students' writing skill. Procedia - Social and Behavioral Sciences, 98, 864-869. Lee, D., & Swales, J. (2006). A corpus-based EAP course for NNS doctoral students: Moving from available specialized corpora to self-compiled corpora. English for Specific Purposes, 25(1), 56–75. Nation, I. S. P. (1990). Teaching and learning vocabulary. New York: Heinle and Heinle. Ranjbar, N., Pazhakh, A., & Gorjian, B. (2012). The effect of lexical bundles on Iranian EFL learners' linguistic production fluency. International Education Journal, 5(4), 243-251. Rond, M., & Miller, A.N. (2005). Publish or perish bane or boon of academic life? Journal of Management Inquiry, 14(4), 321-329. Salager-Meyer, F. (2014). Origin and development of English for medical purposes. Part I: Research on written medical discourse. Medical Writing, 23(1), 49-51. Schmitt, N., & McCarthy, M. (Eds.) (1997). Vocabulary: Description, acquisition, and pedagogy. Cambridge: Cambridge University Press. Shahriari Ahmadi, H., Ghonsooly, B, & Hosseini Fatemi, A. (2013). An analysis of lexical bundles in research article abstracts by Iranian and native English-speaking authors of applied linguistics articles. The Asian ESP Journal, 9(1), 5-25. Stotsky, S. (1986). On learning to write about ideas. College composition and communication, 37(3), 276-293. Thonney, T. (2011). Teaching the conventions of academic discourse. Teaching English in the Two-Year College, 39(4), 347-362. Tremblay, A., Derwing, B., Libben, G., & Westbury, C. (2011). Processing advantages of lexical bundles: Evidence from self-paced reading and sentence recall tasks. Language Learning, 61(2), 569–613. Wood, D. (2010). Formulaic language and second language speech fluency. London: Continuum International Publishing Group.